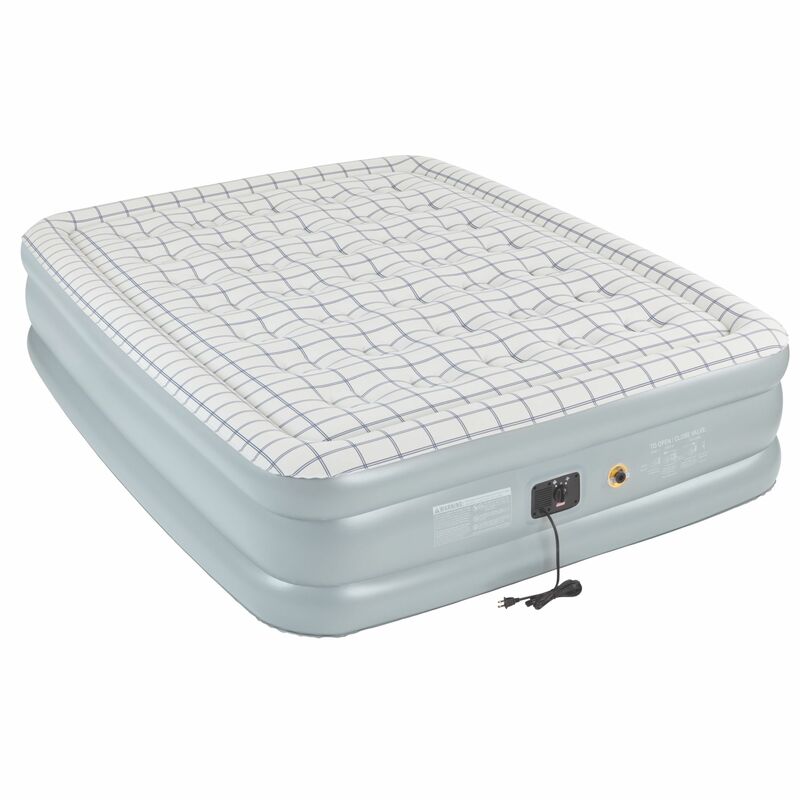 Sleep soundly in minutes with a Coleman® Quickbed® Queen Double High Airbed with Built-in Pump. Heavy-duty PVC construction and 35 comfort coils provide durable support and stability. A built-in 120 volt pump makes for fast inflation in minutes. 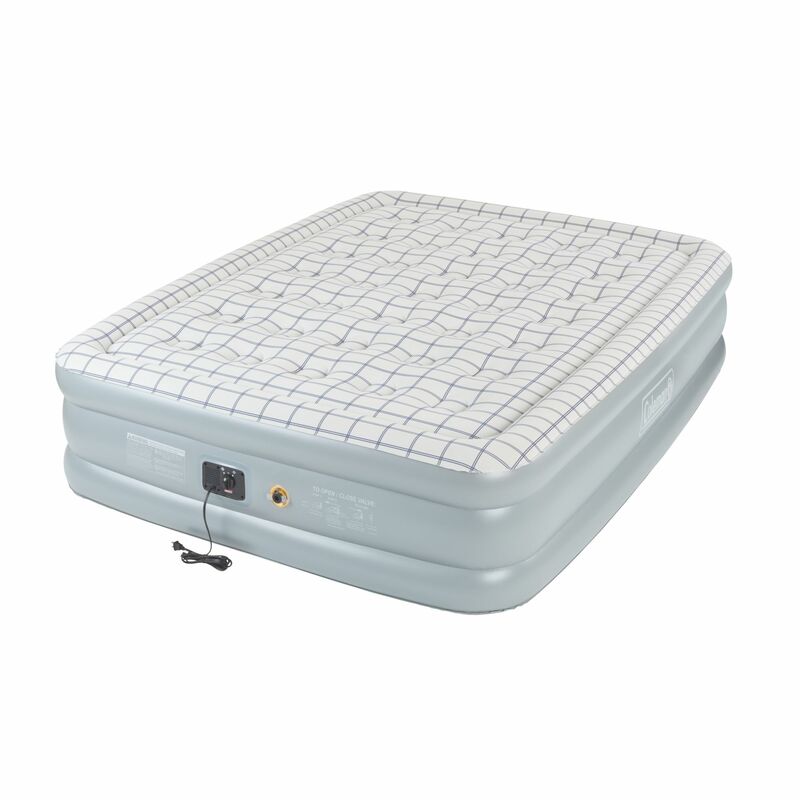 With durable PVC construction and the Airtight® System, your airbed is guaranteed to keep its customized firmness all night long, and an included zippered carry bag stores the bed for easy transport. • Inflated dimensions: 78 in. x 60 in. x 18 in. Comfortable enough for home use! 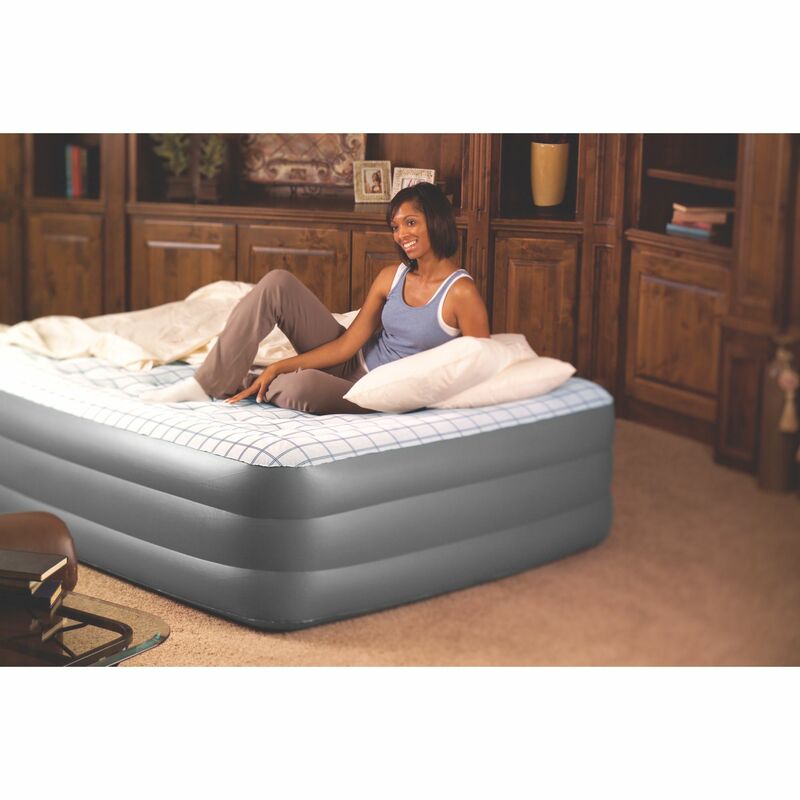 This Coleman Premium Double High SupportRest Airbed with Built in Pump is easy to set up and inflate. Lasting comfort!